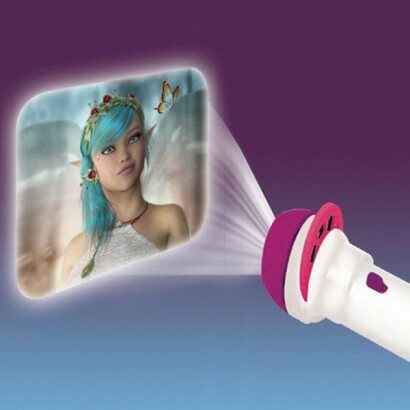 Project enchanting images of fairies and unicorns onto your walls and surfaces with this projector torch that includes three colour slides. 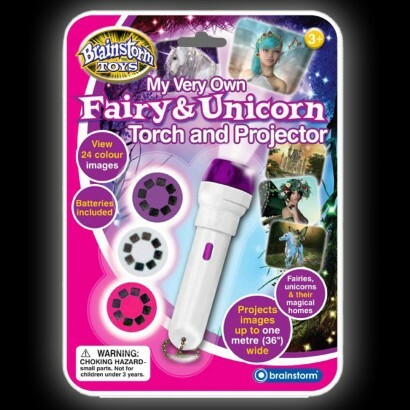 A magical toy for kids that believe in fairies, this fun torch shines twenty-four colour images of fairies, unicorns and their fantasy homes. Images project up to one metre wide making this torch ideal for illustrating bedtime stories, for sleepovers and playing in the the dark! Project images up to 1m wide!